What will your futuristic ideal home look like? We have been invited by local estate agent Steven Oates to draw, paint or colour, using your wildest imagination, on A4 landscape what your futuristic house would look like. 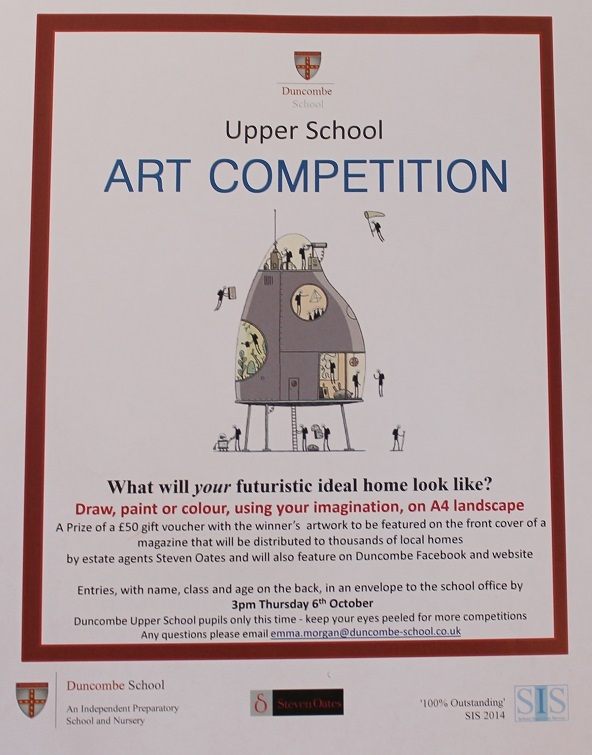 A Prize of a £50 gift voucher with the winner’s artwork to be featured on the front cover of a magazine that will be distributed to thousands of local homes by estate agents Steven Oates and will also feature on Duncombe Facebook and website.